Look out the window when you’re flying over the south central United States and you’ll most likely see a quilt of small towns, farms and forestland stitched together by meandering rivers and intersecting roadways. Now, much of that forestland is Forest Stewardship Council (FSC) certified. 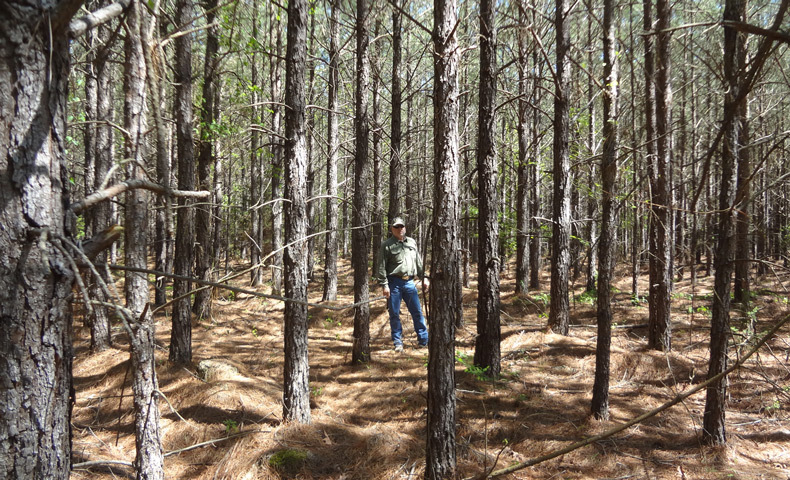 Recently, the Four States Timberland Owners Association (FSTOA) reached a milestone of certifying more than 500,000 acres of timber as FSC-approved land. Domtar has helped guide this effort in an area where small, private landowners hold the titles to 75 percent of the available timberland. “The amazing growth of FSTOA to encompass over a half million acres of FSC-certified land is a testament to Domtar’s commitment to increasing private land certification in the South,” said Paige Goff, Domtar’s vice president of sustainability and business communications. FSTOA, which began as a partnership between 55 private landowners and Domtar’s Ashdown Mill in Arkansas, included just 70,000 certified acres just three years ago. That initial certification came after two years of intensive work during which the mill helped area landowners learn more about certification. At the same time, those landowners — who are located in Arkansas, Louisiana, Oklahoma and Texas — developed sustainable practices they could apply to managing their land. “Efforts such as this are critical in helping ensure we keep privately owned forests in North America for generations to come,” said Goff. Through its ongoing joint efforts, FSTOA has become an important source of FSC-certified timber for Domtar as the company continues to provide the market with beneficial products while supporting the long-term health of our forests. Learn more about this important FSTOA milestone and the economic, social and environmental benefits of FSC certification.